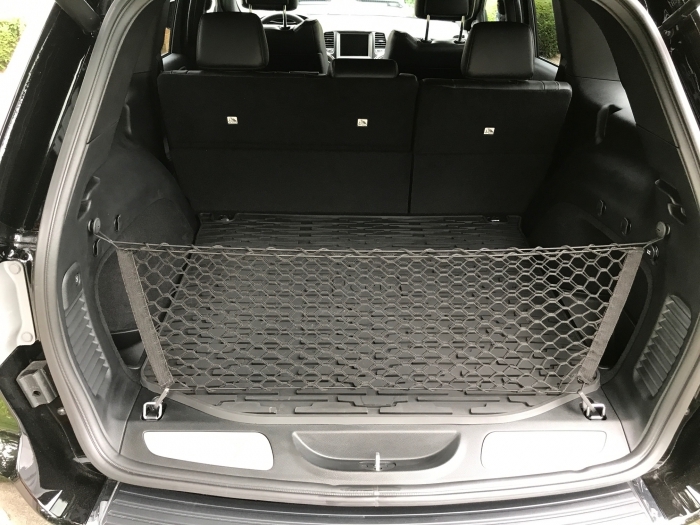 If you're headed on a long trip and planning to carry along lots of luggage and loose cargo in your Jeep, take steps to keep it all securely in place with the Cargo Envelope Net available at JustforJeeps.com. Made by Mopar, the black nylon net will keep your valuable stuff from sliding around and banging against the inside walls. The Jeep Grand Cherokee 82213308 net installs easily by fastening to tie-down loops. 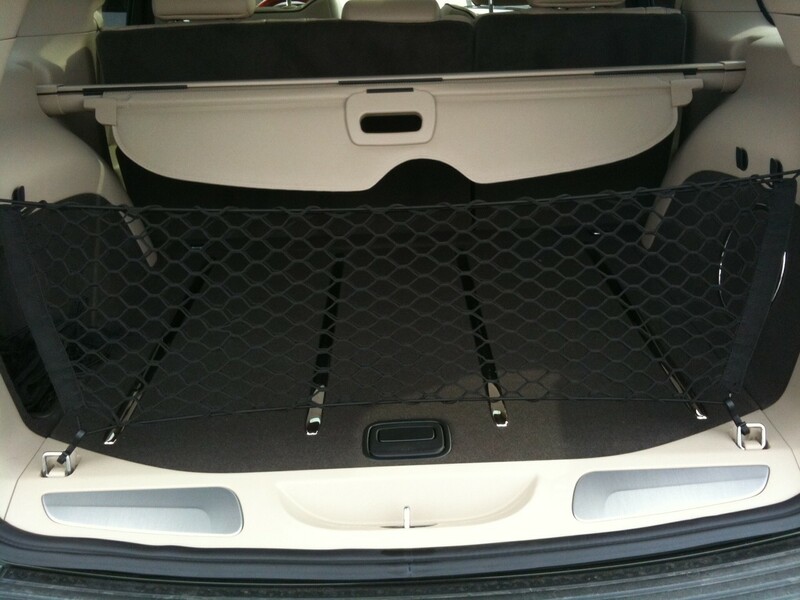 Order it and keep your cargo securely in place on your next excursion. I originally bought this net to keep items from falling out the back and stop my dog from jumping out as soon as the lid opens. To my surprise I found that the net is also a kind of "bag". It has two lines going across the top so you can open it, place items in between the two sides of the net, and clamp them in there! ProsGreat Quality Fitment Top notch Can Hold Items! there is a significant gap on either end. This net is exactly what I was looking for. 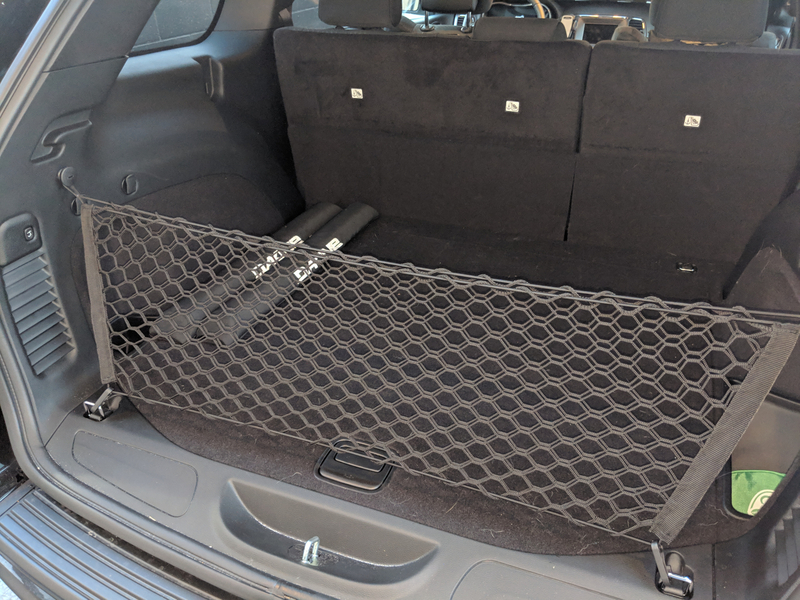 My Cherokee's cargo area felt a little off not having some kind of separator or wall for my groceries or gym bag, so I decided to give this a shot. What a great product! I'm very happy with my purchase! ProsGreat separator for groceries, shopping, gym bags or briefcases, etc. Love the envelope part of the net. It is exactly what we were looking for to keep things from falling out the back. Our driveway is sloped and things tend to roll out when we don't want them to so this now prevents that. Why did I wait so long?!? Like the title says.. it does the job. Maybe a bit overpriced but it works. It's mopar and fits my 2018 grand cherokee perfect. Well made and works as designed. Works Great and Looks Great! works very well to keep contents in the back of the Jeep contained when your opening the hatch. 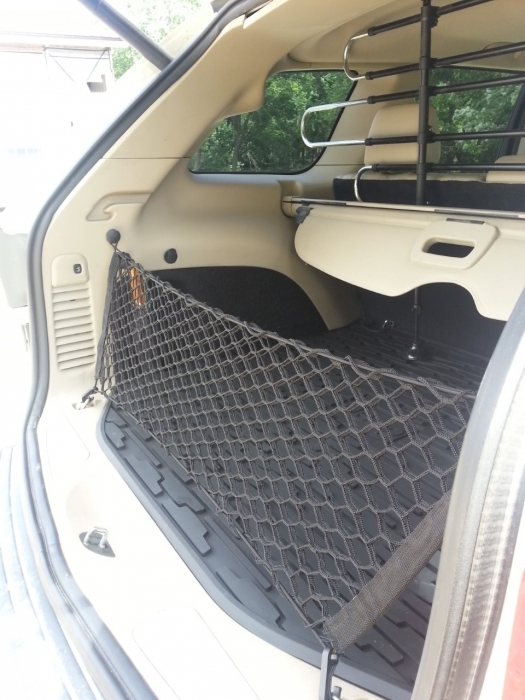 I had this net in my other Jeep Grand Cherokee and wished I would have kept it, it does a great job of keeping things from banging into the back hatch and prevents stuff from dropping out when the hatch is opened. Opens up to double as a bag holder or for balls or whatever else you see fit to carry that might roll around or tip over. Proshandy for many things. fits perfectly. Looks great and performs perfectly. ProsEasy install. Works as designed. Very well made. Looks great. The envelope net is very well designed and made of durable materials. 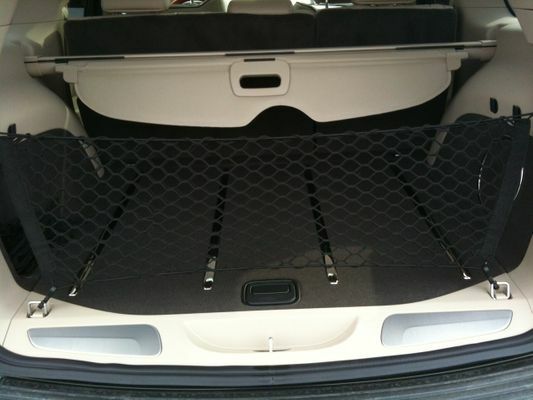 Doubles as a barrier to keep my dogs in the back as I lift the hatch. Just a perfect fit and net for my Grand Cherokee. Very happy with the price and product. Good price right product very happy. 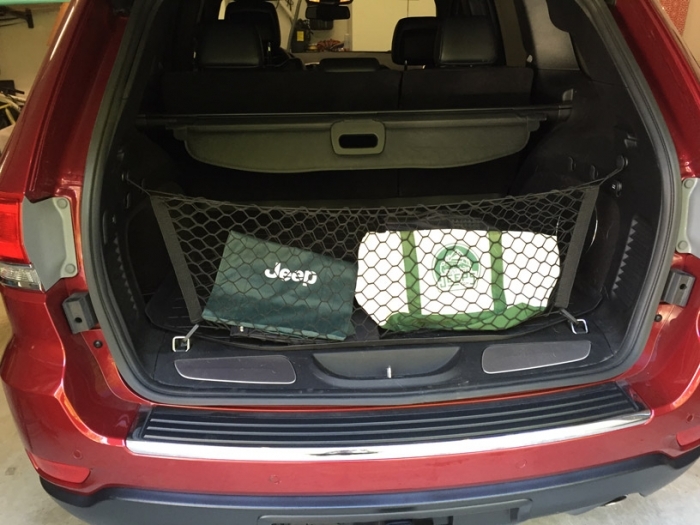 I ORDERED THE CARGO NET FOR MY 2016 JEEP GRAND CHEROKEE SINCE IT DOESN'T COME WITH IT. IT IS PERFECT FOR WHAT I NEEDED. This product is great and well made. ProsTight and sturdy. Made well. 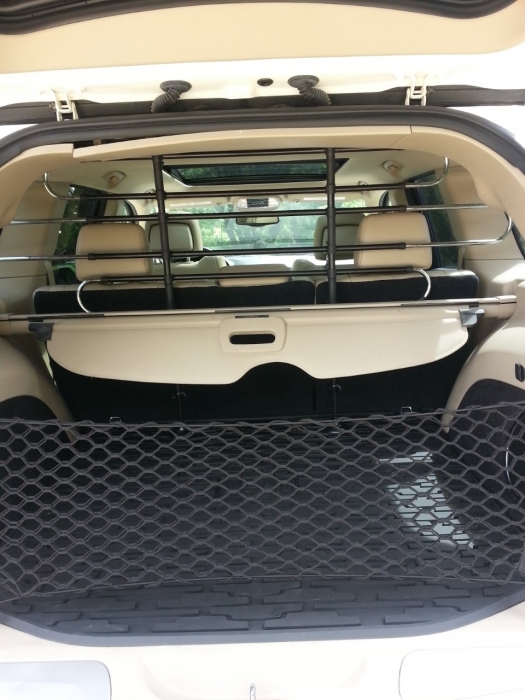 2015 Grand Cherokee rear cargo net. The cargo net was just what I needed, It fit well and works good. 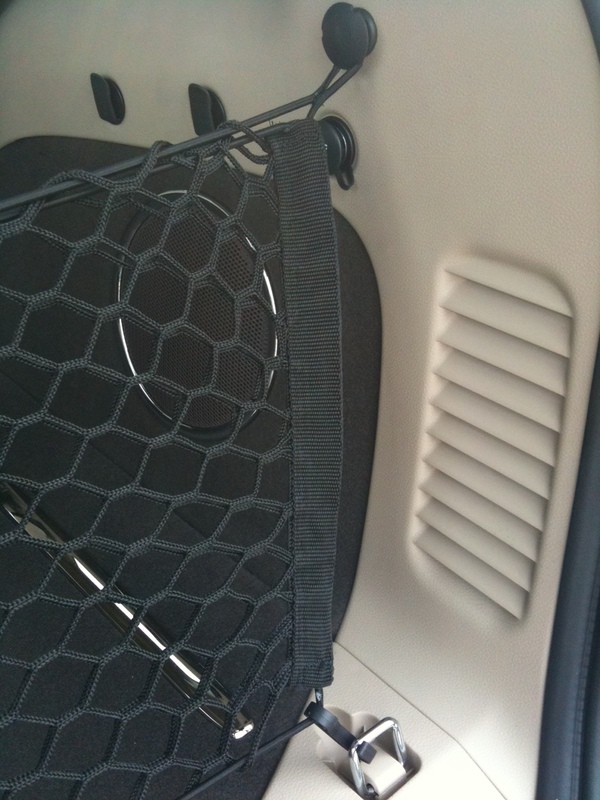 ProsIt keeps items from falling out of the back of the Jeep whenever you open the rear hatch from the drivers seat. Plug and play, exactly as advertised. Nice product, does what it says. Biggest advantage is that it keeps things from sliding out the back when you open the door. Also creates a pretty useful pocket for carrying small items. Only disadvantage is that it can be annoying when you are loading large items like suitcases and you have to detach the netting first. But overall for $20 it's well worth it. Excellent product selection, very good service, fast and accurate order processing. I recommend this company.